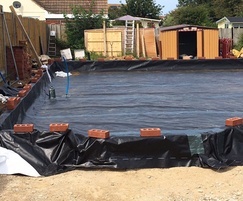 Delta Membrane Systems Ltd offers a range of waterproofing systems which also incorporate ground gas protection. Many below ground construction projects require protection from both water ingress and gas contamination. 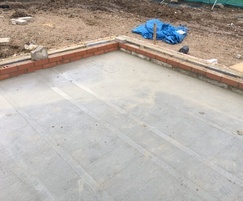 Basements and below ground structures which need to be watertight and gas proof require further considerations at the design phase and throughout the project and the conditions of both BS8102:2009 and BS8485:20015 need to be taken into account. A Waterproofing Design Specialist will be able to interpret the requirements of BS8102:2009 and BS8485:2015 to produce a waterproofing design which incorporates both a waterproof and gas proof protection system. If a site has been identified with a gas or hydrocarbon contamination it will have been given a Characteristic Situation Score. The Characteristic Situation Score is defined according to how severe the gas flow from the ground is. All sites which have been characterised with a gas situation score will require a gas protection system and where identified, a waterproof protection barrier. There are 3 Types of waterproofing methods. Type A Tanked or Barrier Protection. Cementitious or bitumen-based products applied internally, externally or sandwiched within the structure. Type B Structurally Integral Protection. Reinforced or prestressed concrete designed through composite and integrated details such as water bars to be water resistant. Type C Drained Protection. Cavity Drainage Systems which allow for water ingress but in a controlled fashion. Evaluation of groundwater conditions, risk assessment and options for drainage outside the structure should always be considered.